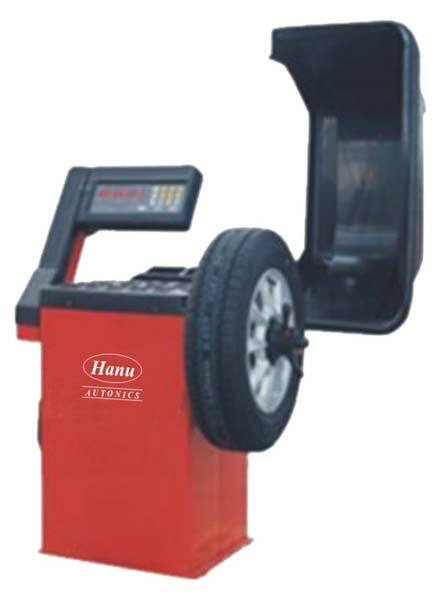 Wheel Balancing Machine HWB-560 is a compact, economical and computer controlled digital wheel balancing machine. Our Wheel Balancing Machine HWB-560 features high capacity and high stability microcontroller control. Wheel Balancing Machine HWB-560 also has automatic gauge for measuring the wheel distance and diameter as well as automatic brake for stopping the wheel at the end of spin. Our Wheel Balancing Machine HWB-560 provides Self-calibration and self-diagnosis functions. High capacity and high stability microcontroller control. Net weight with guide 165 kg approx.